There's something for everyone at the Eden Projects ethical gifts shop. We have not been able to visit the Eden Project yet - it's about a 7 hour drive away so perhaps something to plan soon. What we do know about it though is that in order support vital conservation work they have launched an attractive range of ethical charity gifts. It's great to know that each gift is helping to build sustainable futures for all people on planet Earth. How were the products chosen? The Eden Project website tell us that the products were chosen as they help demonstrate how to use resources more efficiently and how to recycle certain items into new ones. The products also tick all the right environmental boxes as, in their manufacture, the use of uneccessary energy and materials are avoided. What's more the products give a fair return to families in the communities where they are produced. The Eden Project know that it doesn't matter if it's at home or far away that to have a future that is sustainable means us all living sustainably wherever we are. How can you support this great conservation work? If you're interested in helping the Eden Project out just visit their online charity gifts site. We're sure you'll love the presents there. They've got loads of sustainable gifts for the home and garden - all at great prices too. 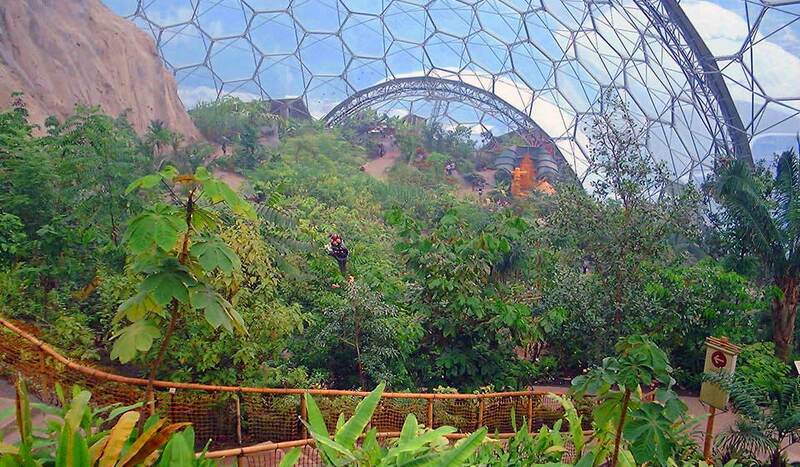 All water used in the Eden project is sanitised rain water. The only water they use from the mains is for cooking and washing hands.